February 9, marks the opening ceremonies of the 23rd Winter Olympic Games in Pyeongchang, South Korea. Team Canada, which includes 225 of our best high-performance athletes and 87 coaches, will march into the opening ceremonies led by our flag-bearers, figure skating champions Tessa Virtue and Scott Moir. I know that all members in the House are looking forward to cheering on our athletes as they compete against the rest of the world in 102 events. I encourage all Canadians to show your support and your pride for Team Canada in whatever way possible. These outstanding athletes represent what Canadians are all about, hard work, dedication, and most of all, having the ability to have fun in sub-zero temperatures. 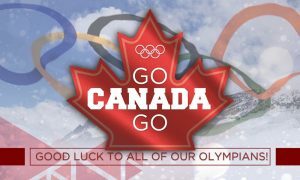 On behalf of the Conservative Party and all members of the House, I would like to wish all of Team Canada the best of luck at the games. Go, Canada, go.